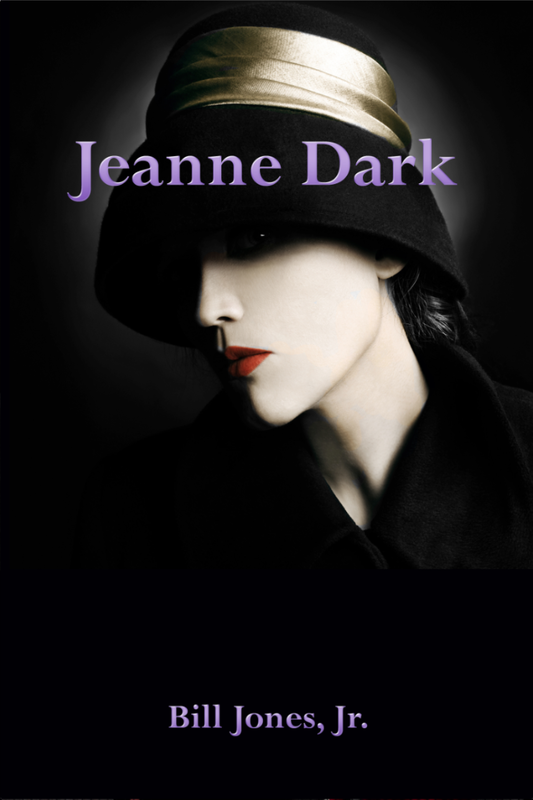 An excerpt from my current work-in-progress, Jeanne Dark. The bathroom door opened and steam roiled out, bathing the room in warm, damp air. From its dark midst emerged Jeanne, lit by the flickering light from the living area as if she were a chimera, or perhaps a wounded angel, defrocked and sent limping to Earth. She was dressed in a flowing, white robe with her hair wrapped in a towel. It was ordinary hotel attire, yet she wore it as if she were an ancient Persian Princess and I her faithful servant. I’d doused the lights in the hotel room and substituted them with candles that were bright enough for her to see her way to the bed, but little else. I’d just turned off the lamps, and my eyes were still adjusting to the darkness when she approached. I regained my vision in time to see the creamy outline of her flesh through the sheer robe. I swept her up with my eyes, and for a moment, she met my gaze and the fog was no longer in the room, but in my mind, clouding out the thoughts I’d had of our case, our agreed professionalism, my reason. I realized, too late, that I’d not thought the setting in the room through. Behind me, Coltrane and Ellington conspired in playing “My Little Brown Book,” which added just enough heat that I feared the room might melt. That woman and her jazz were going to be the death of me. “Merci pour l’éclairage,” Dark said, taking my hand so I could help ease her onto the bed. “It was very thoughtful.” My elementary French told me she was thanking me for dimming the lights. I breathed a sigh of relief that she didn’t think the setting was as full of romance as my thumping heart was telling me that it was. Dark removed her sunglasses once again. Even in the dim light, the gloriously large olive orbs were breathtaking. She lay on her side, briefly looking me in the eyes, and smiled. “You are full of compliments tonight,” she said. “Oui. You said plenty.” She turned on her stomach, reached underneath and undid her robe. My brain reminded me for the second time I hadn’t thought the scenario through. It was, however, way too late to turn on the lights and the television to break the mood. She pulled the robe over her shoulders and lifted her chin to me. “You can help, you know.” I gingerly eased the garment off her shoulders, to her mid-back, stopping at her hips. I could see a strap across her back that looked like a … “Do you like my bikini?” she asked. The question startled me, because for a moment I thought the woman could see me out the back of her head. It would have been a natural evolution from her current set of gifts. I managed to stutter out a query as to why she had a bikini in London. I pulled the damned thing the rest of the way off, revealing her slender frame, delicate skin, and slim legs. From head to toe, she smelled of the attar of orange petals. “Yeah, my pain is from below the waist too,” I said. “Shut up and rub me,” she said. I could hear the smile in her voice. Wow … totally cool … I have some small thoughts like steam … actually, roiling is perfect. This is going to be a film, mark my words! Thank you, Mark. I hope you’re right.